Of all the playthings in the history of the world, blocks may be the most important, because a child’s imagination is required to bring them to life. Building with blocks, children create castles. roadways, playhouses. forts, garages. stables and more. Building with blocks, children also grasp basic number concepts and learn logic skills. When you give children blocks, you’re giving them tools to build minds and develop unlimited imagination. At Becky & Me Toys we enjoy helping you find the right gift for the special kids in your life. We pride ourselves in providing toys that are unique and of high quality, toys that encourage creativity and have long lasting play value. We can help you select toys that are safe, age appropriate, engaging, and fun. Play is a child’s most important work. Play is how a child has fun, acquires skills, experiences success, and builds self esteem. Through play a child figures out the world and how he/she fits in it. Through play children inquire, imagine, process information, and think. What a beautiful day to be outside! To run, climb, jump, and of course, hula hoop! And we have the hula hopp for you!! It’s our favorite tye dye hoop from Saturnian. 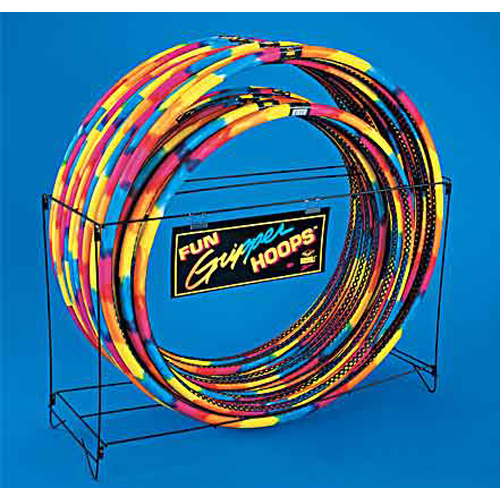 Their Fun Gripper™ hula hoop is played with by kids of all ages. It’s soft durable construction, and vibrant colored nylon fabric make grasping, throwing, tossing, flinging, and catching easy and secure for the smallest hands. Do you need a special gift for that special little girl about to have her Communion? We have the answer – a Madame Alexander First Communion doll. What better way to mark the occasion than with this beautiful little doll! It will be a lifetime remembrance.